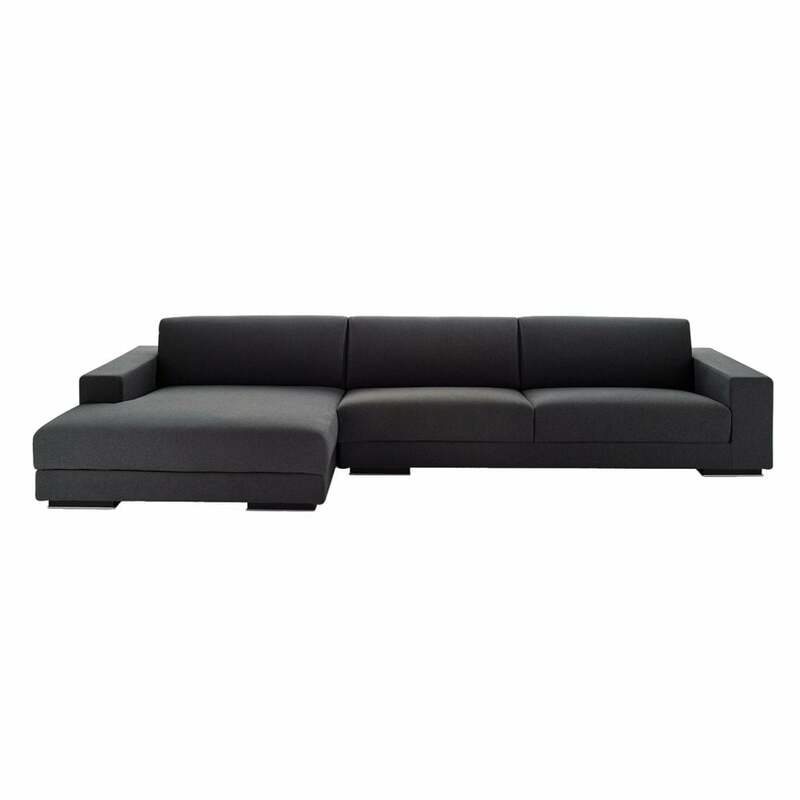 Designed by Carlo Bimbi in 2005, the Best sofa takes classical geometric lines and reinterprets using new proportions. This unit comprises a sofa section and a chaise longue. The chaise can be placed on the right or left hand side. The ergonomic inclined backrest and the use of non-deformable polyurethane of different densities offers great comfort. The 5 cm high wooden feet are in black wood with polished aluminium trim.